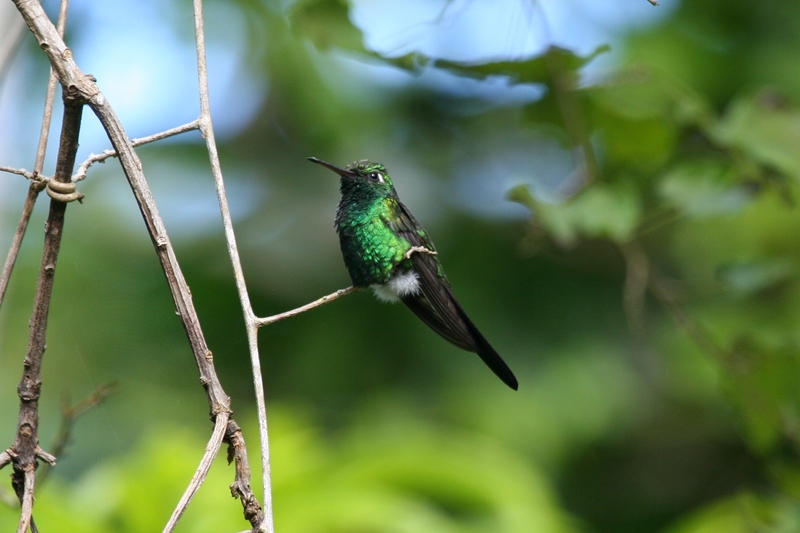 The emerald hummingbird lives in arid thorn-forest and scrub in the interior valleys of Honduras. Its diet consists of insects, flowering plants and orangepipe cactus. The hummingbird faces threats from severe habitat loss and deforestation, largely due to clearing for agriculture and ranching.